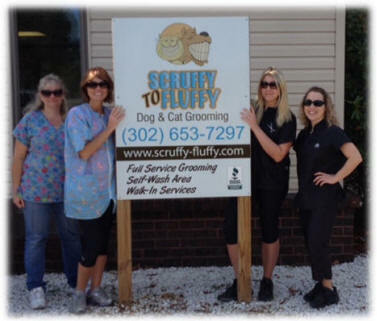 Welcome to Scruffy to Fluffy Dog and Cat Grooming! We call our facility our second home and often joke about setting up cots. We work long and hard most days, and feel like we could at times spend our nights here. But the reason we work so hard is because we care about your pets and their needs. Click on the "About Us" tab at the top to meet the staff. Because we are so busy, we would like our clients to know how they can make the grooming of their pets flow smoothly and serenely. 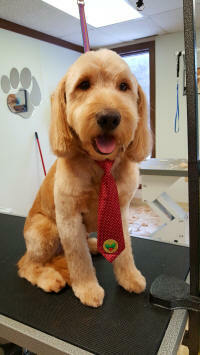 When making an appointment, please let us know by what time you specifically need to have your pet groomed and picked up. This is the only way we can guarantee if we can groom your pet on the day you request. Please always provide us with two (2) emergency contact numbers, and the name and phone number of your pet’s veterinarian. Fleas are a common pet problem and you should always make us aware of whether your pet has fleas. Please let us know because we will put your pet directly in the bath with flea shampoo. This is a quick fix that keeps the fleas from our spreading to other clients’ pets. If your pet is infested with fleas (this is when the bath water will actually turn red from the flea dirt which is blood), we will give the pet a Capstar pill. This will be effective for 24 hours in keeping the pet flea free. Thereafter, the pet should be treated with a flea preventative. Any flea treatment is an automatic additional charge. The treatment and size of the pet determines the charge. We will give estimated prices over the phone or when you drop your pet off. Please make us aware of any health related problems such as arthritis, blindness, deafness, kidney disease, heart failure, trauch problems, diabetes, cancer, tumors, seizures or of any health issue your pet may have. Allergies to shampoos, if known, should be reported to us. 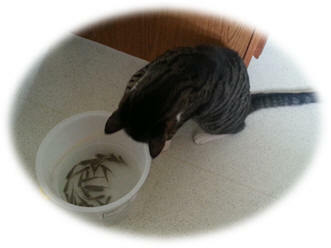 Oatmeal baths are available if needed and are fee of charge. We also carry medicated oxymed treatments. This works great on dogs with obvious dry, flaky skin, itching, flea bit dermatitis, and minor skin problems. This treatment is an additional charge. If your pet requires it’s own prescribed shampoo from your vet, please put your pet’s first and last name on the bottle and bring it with you. Aggression can be common under certain circumstances. Please let us know if your pet reacts with aggression to having: feet, nails, ears, hind end, or any certain body part groomed. 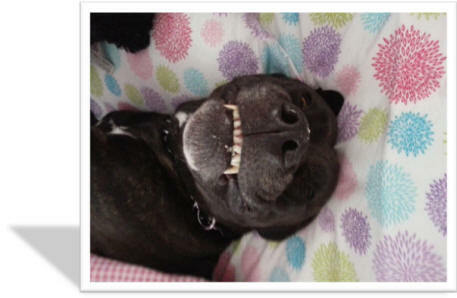 Aggression towards other dogs, or cage aggression should also be reported to us. We understand that dogs don’t like certain things. Telling us in advance regarding any dislikes your pet may have will be greatly appreciated. 1. May I stay? We do not recommend that you stay while your pet is being groomed. In most cases this makes the pet more hyper and anxious, which makes your pet more difficult to groom. 2. Is my pet caged all day? We do crate in regularly used grooming cages. This is for your pet’s safety. Each caged area throughout our facility has access to water. We rotate the pets for some stretch time, to drink, and use the restroom. 3. What time do I pick up my pet? 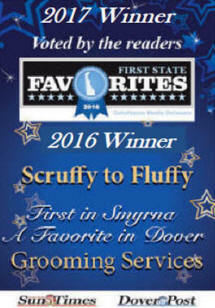 We will call the owner on the number provided when your pet is finished being groomed. We also call if you have a scheduled pick up time to assure you that your beloved pet is ready. Please also note that we can only do so many pets by a certain time, therefore we usually schedule in advance. 4. Do you use doggie cologne? We don’t. We found that there were more issues with using extra smelly products. 5. Do you muzzle? Yes, we will when needed. We like to see our cats come in in the morning hours. Cats can not be as cooperative as dogs can with their grooming therefore requiring more time. They often don't even like being out of there element. We require ALL CATS be in a cage when entered the facility. Thank you in advance. 10. Your Hairdresser doesn't wash and clean your rear end. 9. You don't go 8 weeks without washing or brushing your hair. 7. Your hairdresser doesn't clean your ears. 6. Your hairdresser doesn't remove the boogies from your eyes. 4. Your haircut doesn't include a manicure or pedicure. 2. You don't bite or scratch your hairdresser.